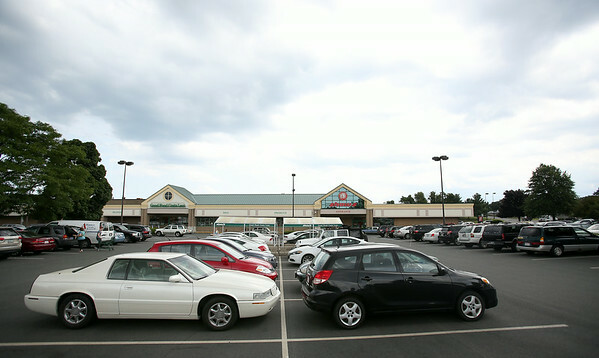 The Highland Ave Shaw's parking lot was packed with cars as many Market Basket customers have had to take their business elsewhere. DAVID LE/Staff photo. 7/31/14.